Are you going to expand? Do you have too little cooling capacity? Do you think to consume too much energy with your current installation? ENSYSTA Refrigeration offers you solutions and answers to problems or questions about your existing installations. In short, we are there to assist you in your decisions. Thanks to a well thought-out concept, good execution and aftercare, we help you to realize the best solution with the most optimal Total Cost of Ownership, which is a continuous pursuit of every company. 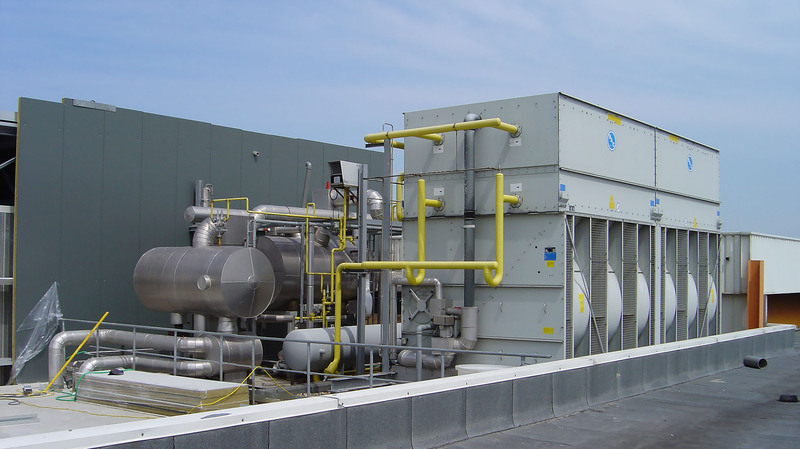 Cooling installations consist of static and rotating parts and are subject to wear. The result is that on every cooling installation, disruptions occur at times that need to be eliminated. Despite the fact that these disturbances can never be completely ruled out (except in the case of full redundancy), the frequency rate and the degree of severity of these disruptions can be drastically reduced by regularly carrying out preventive or predictive maintenance. In this way, unforeseen operating costs are avoided. In addition, preventative maintenance of cooling installations is mandatory by the government. Our after sales department can offer you this aftercare. Various scenarios are possible from a simple maintenance contract to including an omnium contract. If desired, we can also monitor certain critical parameters (temperatures, door contacts, …) from a distance on a continuous basis. Thanks to the versatility of our technicians and the fact that we are not brand-tied, we are able to offer maintenance on all brands and types of refrigeration equipment. We have expertise in overhauling screw and piston compressors from brands such as MYCOM, GRASSO, SABROE, ….